team for a rock climbing session or day and give it a go! Climbing is a great sport! In 2016 it was announced that Rock Climbing would be a competitive sport in the Tokyo Olympics 2020. As a recreational sport Climbing has grown apace in popularity for many years and whilst it's great to have a go at an indoor climbing wall, nothing quite beats the real feeling of a rock face and the great outdoors. We are blessed in the Lake District with some of the most beautiful locations for Outdoor Climbing and there is no better way to improve your flexibility and fitness. You can choose from easy graded, gradual climbing to something a little harder and more testing. If the weather doesn't look to good you could go for an indoor climbing option, with so many indoor climbing centres open around the country you have a great choice. A fantastic introduction to climbing for me and my 8 year old son. Dave, our teacher, was brilliant - clearly knowledgeable and experienced, warm and funny. 3 hours flew by. We were expecting quite a basic session as we are both beginners, but with Dave's guidance we came away feeling as though we had done some 'proper' climbing, with some dedicated teaching and all in a stunningly beautiful place. I couldn't recommend this highly enough. Great value for money too. We have many climbing and abseiling venues in and around Lancashire including Chorley, Preston, Blackburn, Bolton, Chorley, Rivington, Anglezarke and Manchester and in Cumbria, particularly around the North Lake District, South Lake District, East Lake District and the West Lake District areas, for example Coniston, Ambleside, Windermere, Keswick, Hawkshead, Kendal, Bowness, Ullswater to name just a few. 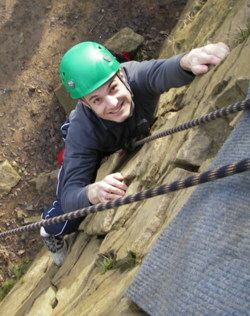 To view some of our rock climbing pictures please click here rock climbing images. can offer individuals rock climbing refresher sessions for those wishing to improve there climbing knowledge and skills, for example before MLTB SPA and Summer ML assessment courses. we are happy to offer SPA trained candidates the opportunity to gain valuable experience during group rock climbing sessions in the Lake District, Manchester and Lancashire. Please call us for details and availability.